 Adding to his collections of great openings (First Paragraphs, 1991) and descriptive writing (Painted Paragraphs), Newlove turns his attention to his favorite passages of written dialogue, offering bits of conversation from movies, plays, television, and novels. 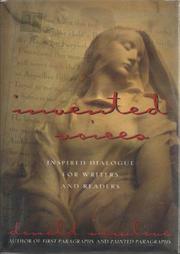 Newlove is fond of saying things like ``all dialogue is between the self and the soul,'' a comment which, while maybe true, will likely be of less help to would-be writers than the good advice he offers about structure and the insightful lines he draws between characters' psyches and their words. His examples are wonderfully eclectic: Shakespeare's Hamlet, Paul Schrader and Mardik Martin's screenplay for Raging Bull, Anne Tyler's The Accidental Tourist, Dennis Potter's teleplay for The Singing Detective, and others.